In the early 1900s we witnessed the beginning of a mobilization which was based on ethnic belonging and cooperation across political and religious affiliation. Anders Larsen, from Kvænangen, was one the forerunners in this political mobilization. 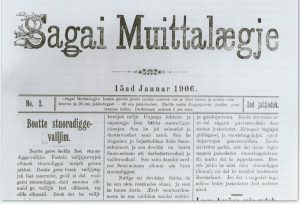 In 1904, Anders Larsen founded the Sami newspaper Sagai Muittalægje, and helped to form Scandinavia’s first Sami political organization. 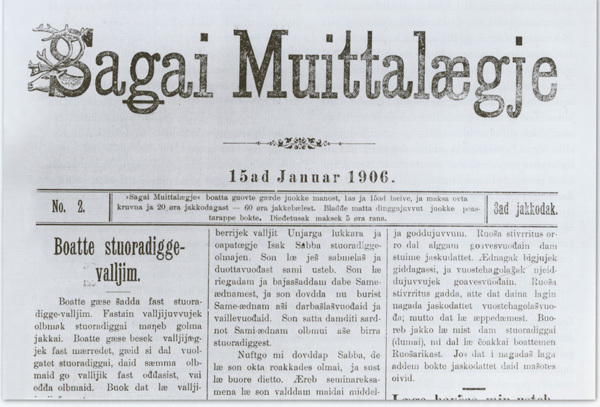 He also wrote the first novel that was written and printed in Sami, Bæivve – alggo, 1912. Larsen’s work was an important contribution to the awareness of the consequences of Norwegianization, including how this was manifested in the Sami people’s experience of having low status in society. Finnmark and North Troms, even Kåfjord, were burned to the ground during the war. This dealt a blow to the Sami language and culture. Settlements had to be rebuilt and many people moved away from their home communities. On the other hand, the post-war period was also marked with prosperity for the people of the region. 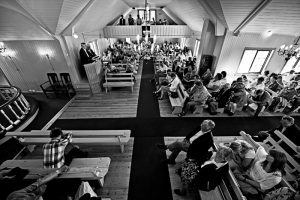 The political climate for minorities was also milder than before, which led to a new discussion about the status of the Sami people in Norway. The development of the Alta-Kautokeino watercourse in 1979 to 1981 is considered the beginning of a new public political debate concerning the Sami people. The Sámediggi /Sami Parliament was established in 1989 as a result of this new political initiative of the Sami. 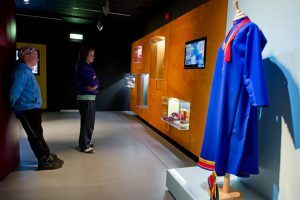 The debate today centers around the status and rights the Sami people have had over time and how this can be further developed in the present and future. 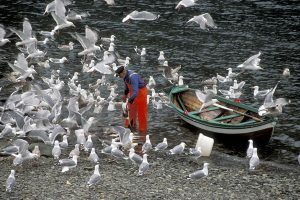 The Riddu Riđđu festival, which had its humble beginnings in 1991, came about as an act of rebellion against the Norwegianization policies in the the coastal Sami areas. 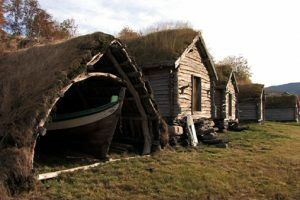 From being a local coastal Sami event, the festival has become an important meeting place for indigenous groups from around the world. Riddu Riđđu is a cultural-political movement that has increased the visibility and development of Sami and other indigenous peoples’ art and cultural expression. 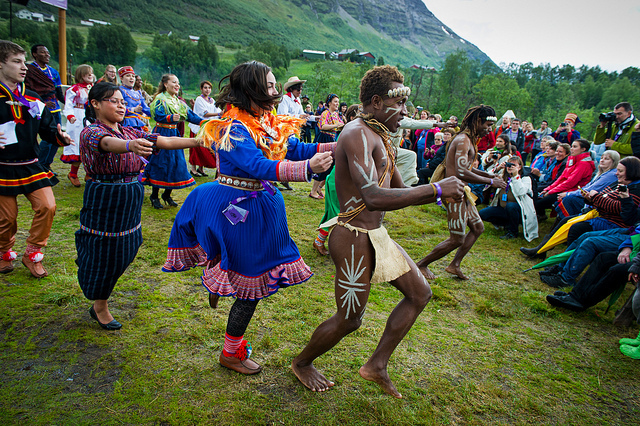 Indigenous Youth Gathering, Riddu 2012. Foto: Ørjan Bertelsen.